Moss. A journal of the Pacific Northwest. MOSS: VOLUME FOUR is coming soon! Available to subscribers via pre-order in June 2019, our fourth print anthology will feature new writing and interviews from over two dozen Northwest writers and poets (to be announced and published online throughout the year). Volume Four will be the first print anthology released under our new, print-focused publication schedule, meaning it will not be tied to an online Issue. Moving forward, the pieces that will eventually make up each Volume (including fiction, non-fiction, essays, poetry, interviews, and more) will be published online semi-regularly throughout the year. This shift will allow us to follow a more timely release schedule; put more attention into the most well-received aspects of Moss (our print editions, events, and special projects); and pay and publish more Northwest writers than ever before! MOSS: VOLUME THREE is available now. Gathering online Issues 7-9 into a beautiful print anthology, Volume Three features new fiction, essays, and poetry from Kate Lebo, Richard Chiem, Donna Miscolta, Troy Osaki, Keya Mitra, Nikkita Oliver, Heather Jacobs, Joe Wilkins, Azura Tyabji, Mercedes Lawry, Shawn Vestal, Kathleen Flenniken, Jasleena Grewal, Rich Smith, Tara Roberts, Sharon Hashimoto, E.A. Greenwell, Amber Krieger, Dave Roth, Laura Da’, and Kristen Millares Young, as well as interviews with Jane Wong, Ishmael Butler, Emily Ruskovich, Shankar Narayan, and Leni Zumas. 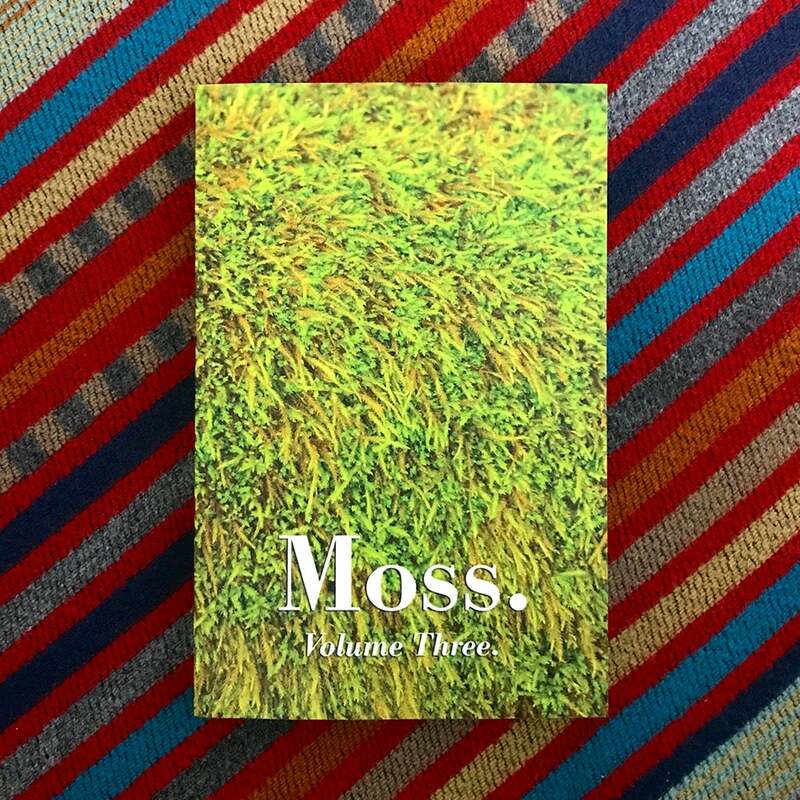 In Seattle and Spokane, you can also find Moss at your local public library. For occasional updates on Moss, including news on events, special projects, and upcoming issues, subscribe to the email list below. You can also stay connected with Moss via Twitter and Facebook. For general inquiries, please email mosslit [at] gmail.com.